It was only appropriate they dropped this in the summer. In 2007 the tides were shifting. Looking back on it, this was such a middle point in the music industry or maybe specifically in Hip Hop. The times were a-changing. And change looks like chaos until its viewed in hindsight. In 2007, behind us was an industry run by labels and age-old tastemakers by way of physical music and ahead of us was an industry run by artists and consumers by way of the digital scape. Everything was getting ready to change rapidly and there were certain artists that came out with bodies of work that, in hindsight, were the last great breaths of what was. 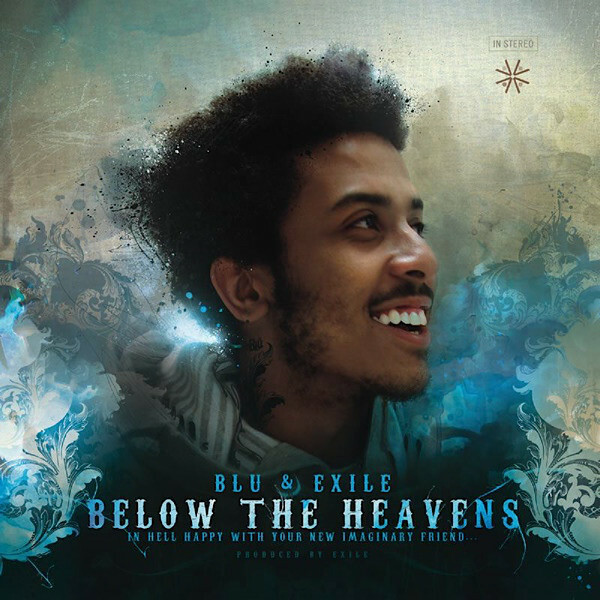 Blu & Exile dropped their opus just months after Nas dropped Hip Hop Is Dead and before Soulja Boy dropped Souljaboytellem.com. The former diagnosed a shift in culture and the latter almost formally ushered in this Internet/Social Media/Soundcloud rap era that we know today. The following year Kid Cudi dropped Day N Nite, Kanye dropped 808’s & Heartbreak, Lil Wayne dropped Tha Carter III, then the following year Drake dropped So Far Gone and by then the tides were too strong to swim against and the entire makeup of the genre began to undergo a major face-lift stylistically. But before that there was 2007 and there was Below the Heavens. This was before the tempo dropped, before stuttering hi-hats, before auto-tuned verses, before vibes, before ad-libs took to the forefront, before tight jeans, before face-tats, and any of the characteristics closely associated with the genre in 2018. This was boom bap. This was scratching. This was rap. This was a set of stories you felt the first spin and understood the second and third. I remember when this dropped it was one of those rare occurrences when everyone stopped and understood what this was. At the time I remember a very palpable void carved out by some of our best talents either dying or living past their primes. We were hungry for the next thing to give us that feeling. And this was a curse in some ways for the artists that did step up to the plate. Because 2007 was a middle point that swallowed all of the great potentials that weren’t cognizant of the way the tides were moving. Unfortunately Blu, in some ways, fell through those cracks. Fortunately when he appeared that first time with Below the Heavens, he landed with a thud. There were immediate comparisons to Illmatic Nas or Resurrection Common. To anyone that fell in love with Hip Hop in its golden age, it was a very familiar feeling. This was like falling in love with a soulmate all over again. And beyond that, it was so summer-appropriate. It sounds like sunny California. Bump the record and you’re likely to hear palm trees and warm weather. It sounds like memories of cookouts, button-up flannels, and trading the best of times and the worst of times over 40 ounces. It is both the liberating energy that comes with this season in childhood and the loss of that childhood to the grim realities that seem to occur only with its heat. Beyond that, I feel this album was a glimpse at what would become a West Coast revival. The left side of the country had the mic in the 90’s and though trends travelled elsewhere, make no mistake, we still have something to say. The way I see it, before we got the gratification of Kendrick, Schoolboy Q, Earl Sweatshirt, Tyler the Creator, Jay Rock, Ab Soul, YG, Nipsey Hussle, Kamaiya, Anderson .Paak, Flying Lotus, Thundercat, Vince Staples, Dom Kennedy, or anyone else that exploded the years afterward, Blu surfaced spotlighting an evolving West Coast scene; one that is both an homage to its history and a departure from its tropes. Before K. Dot told stories about being a good kid in a mad city, Blu captured that same perspective; just a blank and naive canvas surrounded by problems older than him that stain over time. There was a scene marinating based off the contributions ranging from the spectrum of, say, Pharcyde and something more dangerous like NWA. While the South dominated and the East Coast grew increasingly frustrated over losing its grip on the genre, the West Coast quietly bubbled before only just recently bubbling over. We caught fire. And what I’m saying is Blu was the smoke. Happy Anniversary to Below the Heavens! Underneath this is my favorite verse on the album, which happens to be one of the greatest verses of all time.